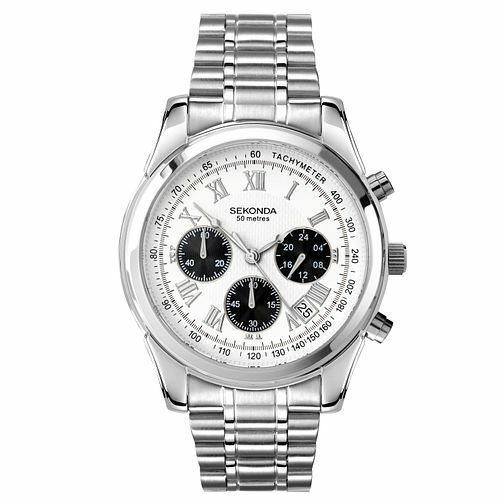 This stylish Sekonda men's chronograph watch bears a smart silver colour case featuring a classic white dial. Complete with a date display between the 4 and 5-o-clock positions, this watch is both attractive and practical. The black multi-dials add a touch of modern, and set on a seamless stainless steel bracelet this timepiece is complete. This watch is water resistant up to 50 metres.